What follows are a few not-so-random ideas that come from testing lots and lots of product. Kindly refer to photo. 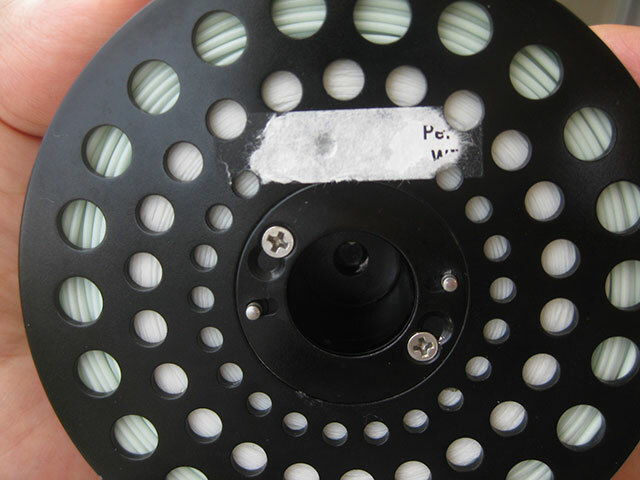 The spool pictured is wound with RIO’s #8 Permit taper. If you’re chasing them, this is the line that I recommend, because it’s weighted and balanced better than any other I’ve tested in recent memory. I know that it’s a #8, and that it’s a Permit taper, and that it’s made by RIO – only because I wound it on two weeks ago – but you wouldn’t know it from the line ID sticker that RIO, as all other fly line manufacturers, supplied with the packaging. The line has been fished a total of three times. Those of us with spool collections – modest or large – greatly depend on these stickers, which are all printed on a paper base, and the result is all too often the one you see pictured. Note to RIO, Orvis, Scientific Anglers, Cortland, Airflo and others: plasticized line ID stickers, please. Kindly refer to photo. That’s a St. Croix fly rod. Model: Avid (circa 2005). It’s an 8-weight, it’s also my favourite saltwater rod. I remember it being reasonably priced, at somewhere around the $350 mark. I have two other salt-water fly rods. Both are 2014 models that cost two-and-a-half times what was paid for the old Avid – they’re both excellent fly rods as well. I use the Avid far more than the newer, and in several ways, better rods (perfectly understandable considering the materials and process advances made over the last decade). Recently, I wondered what it is that keeps me hooked to that old Avid? 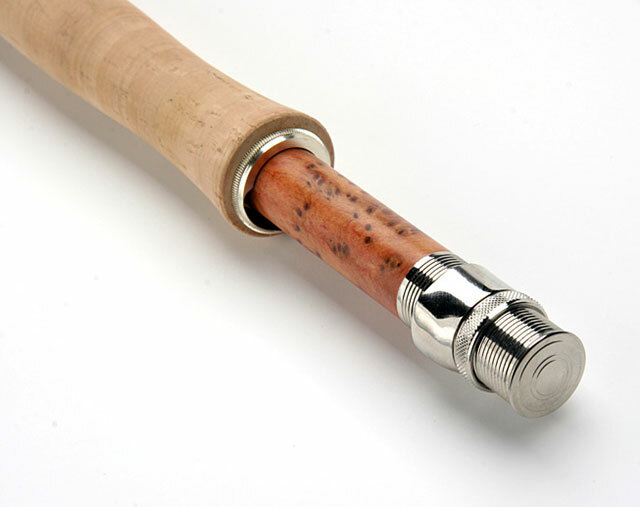 The answer is the cork grip, which is larger – but only by a few millimetres – than any other rod that I use. Overall, the rod is more comfortable to fish, and the kicker is that I cast better (although not necessarily farther) with it. I suspect that the rod was designed and built with a template that no longer exists. Hopefully, I’m wrong. I’ll stop short of the absurd statement that I wish all my rods had that same grip, which just wouldn’t make sense on a 2 or 3 or 4-weight (…), but will state that my lighter line rods would probably benefit – me – if they had marginally larger diameter grips. My hands might be wee larger than average (I’m 6’1” – certainly no giant), but I’m sure that they aren’t “off-the-chart” large. On a hunch, I tried an experiment: I wrapped the grips of two of my smaller fly rods (3 and 4-weight) with bicycle handlebar tape, and the results were impressive. Increased comfort, easier and better, more controlled casting. I’m aware that grip size and configuration make up a large part of any rod’s architecture, but still wonder if it’s possible that cork grip diameters have been a little undersized all this time. Also, would it be at all possible to offer the same blank with different grip sizing? Over the years, I’ve heard on far too many occasions from anglers who wished their (generally) older rods could be repaired rather than replaced with new model rods. It’s not that we don’t care for new products or developments, it’s just that, sometimes, older wares suit us just fine: sort of like “if it ain’t broke, don’t fix it.” These are implements we are used to using, we know them and, dare I say, love them. Ditto RL Winston GVX Select. Ditto a few others I could easily add to this list but won’t as I’m certain you get the message. Reel companies do it (Ross G-Series, Orvis CFO, anyone? ), so why not fly rod companies? Think about it: all the R&D is done, the blank formulas already exist, so why not add one or two of your best-regarded fly rods to the current catalog? You’d be making many, many anglers happy. Scratch that— very happy.